When it comes to getting around walls, especially prison walls, there are two ways to get through them. You can go around them, under them, or over them. However, going around them involves passing security screenings and going under them requires engineering. Going over the walls, however? You just need wings. Drug smugglers looking to get contraband into the prison in Bucaramanga, Colombia, have trained pigeons to carry contraband over prison walls. Police discovered the pigeon a block away from the prison, unable to fly due to the amount of cocaine paste and marijuana on its back. 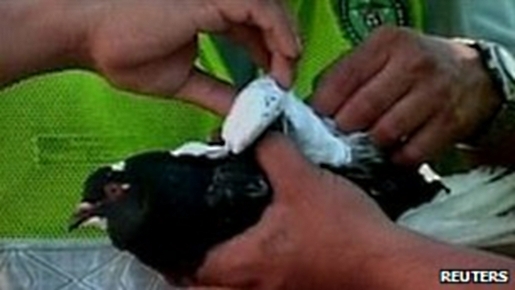 The 1.6 ounce container of drugs was too heavy for the pigeon to carry. A pair of police officers saw the bird struggling to leave the ground and intercepted the package before the pigeon could get airborne.